Bob Surtees was a Professor of History and founding faculty member of Nipissing University. Robert J. Surtees was born on January 15, 1941 and moved to North Bay with his family at the age of 13. His parents Robert Manion Surtees and Annie Ellen Luella (McCarthy) Surtees were educators and both taught at North Bay Teachers’ College. After completing a Master of Arts degree at Carleton University, Surtees worked for two years as a high school teacher before securing a position as Assistant Professor in 1967 at the newly-established Nipissing College. In 1983, he received his doctorate from Carleton University and was subsequently promoted to full Professor. For 34 years he taught history at Nipissing College/University, where he was also involved in the Faculty Association, Senate, and Board of Governors. His research interests included First Nations history (with a focus on treaties and land claims, subjects on which he provided consulting services) and local history. 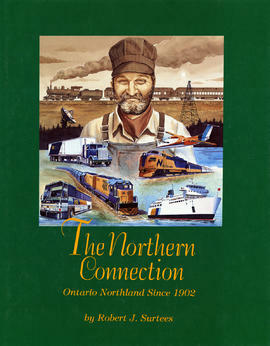 He authored several books, including The Original People (1971) and The Northern Connection: Ontario Northland Since 1902 (1992). Surtees was active in the community and served as President of the Ontario Historical Association and as Chairman of the Education Quality and Accountability Office. He was also coach of the Nipissing University basketball team, advisor to the Nipissing University Drama Club, and involved with the North Bay and Area Museum, North Bay Tennis Club, Knights of Columbus, and the Nipissing District Progressive Conservative Party. Surtees died on August 25, 2001. Following Surtees' death in 2001, the records were in the custody of his wife Margaret Surtees. Fonds documents Surtees' work as a Professor of History at Nipissing University. Fonds contains one series documenting Surtees' research for his book "The Northern Connection: Ontario Northland Since 1902," a history of the Ontario Northland Railway/Temiskaming and Northern Ontario Railway. 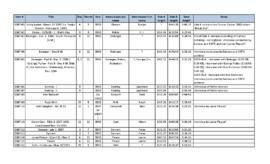 Other records in the fonds reflect Surtees' academic activities and research interests, including First Nations and northern Ontario history. Donated by Margaret Surtees in October 2014. The photograph linked to this description is a faculty portrait of Bob Surtees, [199-]. The photograph is from the Office of Marketing and Communications (Nipissing University) fonds.